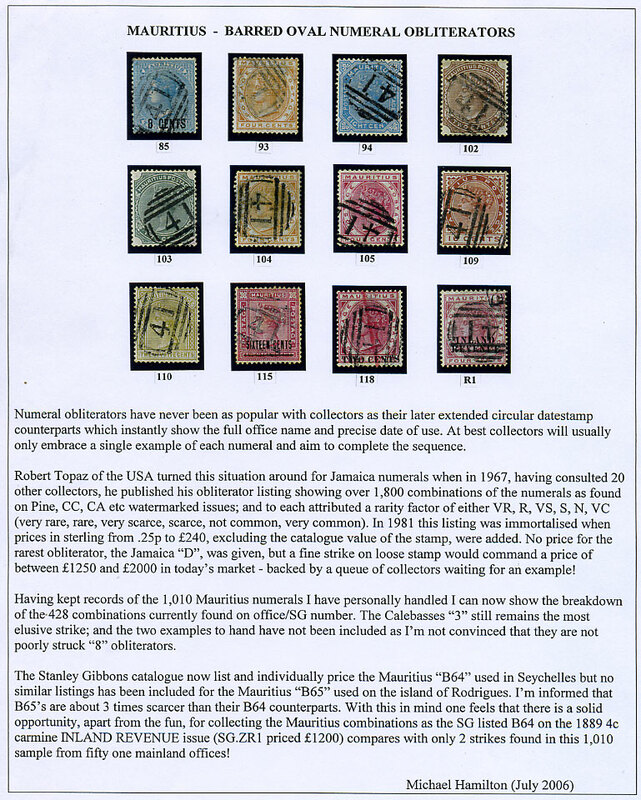 4 pages, including 3 page table, giving a rarity guide of 428 different combinations as found on a survey of 1,010 Mauritius stamps SG.56 to R3. Produced July 2006. Will be mailed folded, post free.